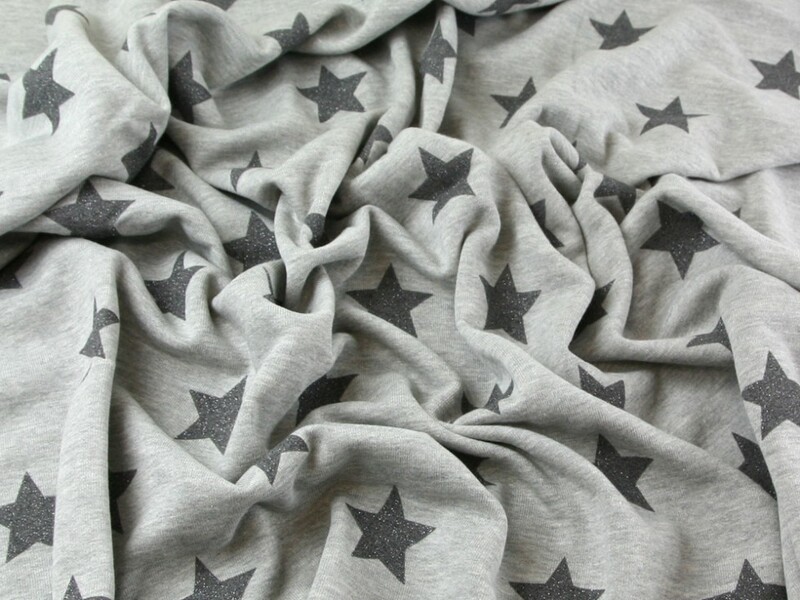 This sweatshirt fabric is so beautifully soft and it will feel gorgeous against your skin. The glittery stars on the face of the fabric add a fun element to this fabric design. Each star measures approx 50mm wide. This is a knitted fabric so it stretches in all directions. We imagine this fabric being made into snug tops and sweaters, hoodies and lounge pants, even dressing gowns and throws.